Today, Uber does not need to entice people to drive for them as they did in the beginning. As a result, they do not offer the same sign-up bonuses as they once did. However, that does not mean you can’t get some extra cash in your pocket by taking the proper steps; namely, by taking advantage of the referral program’s sign-up guarantee. Many companies compensate people for referring their friends, and Uber is no different. Drivers can share their referral codes with friends, family, or even strangers, giving both themselves and the new driver a chance to earn some extra money. One way to become eligible for the Uber sign-up bonus is to use a referral code. This means you would need to connect with someone who already drives for the company or conduct a quick internet search to find a code. Luckily, whose code you use doesn’t matter. They do not have to be in your city, and you do not have to know them personally. The important part is to find a code. Once you have a referral code, you need to complete the Uber driver application. Make sure to input the referral code in the right blank. It is important to note that, if you use a referral code, that person earns a bonus off of your driving. Since that is the case, you may want to track down one from a person you like, as you are essentially putting free money in their pocket. However, a referral code is not your only option. If you want to sign up without a code and get the guaranteed earnings offer, you can. Just head over to the Uber New Driver Guarantees Page, and you can get started. The Uber sign-up guarantee isn’t a traditional bonus. They do not just hand over a specific amount of cash to thank you for joining as a driver. Instead, you gain access to a program that can make your start with Uber more lucrative. As you sign up, you will see an offer. Usually, it says you can earn X amount of money for completing Y number of trips in Z days. Exactly what your offer looks like may depend on a number of factors, though your location is the biggest one. The sign-on guarantees vary by city, so new drivers in Seattle will see something different than a new driver in Miami. Now, what the verbiage means is universal. You are not getting an “extra” amount of money (like the $300 mentioned above). Instead, the total amount you make from your first trips will be at least that amount. Continuing with the example above, that $300 would mean that you would earn at least $10 for each of your first 30 trips ($300 / 30 trips = $10 per trip) as long as you finish them all in 90 days. If you do not finish them in 90 days, the $10 per trip guarantee only applies to those you drive during those 90 days. Essentially, no matter how much the trip would normally make you, you will earn at least $10. If you are eligible for a sign-up guarantee, then you want to make the most of it. Just how do you do that? By driving the cheapest (usually, the shortest) rides possible, that’s how. The goal is to find trips where you would earn less than $10, allowing you to bank more for less work. For example, with the guarantee in place, a $5.60 trip lands you $10, so you get an extra $4.40 thanks to the guarantee. In contrast, a $10.50 trip is already over $10, so you lose out on the benefit of the guarantee for that trip (but it still counts as one of your first trips, meaning it is a missed opportunity). Now, Uber drivers do not get full control over the rides they land. Once you are signed on and ready to drive, you often have to take what is available. However, by adjusting when and where you drive, you can increase your odds of getting shorter trips. For example, avoiding early mornings (when people are commuting to work or more commonly heading to the airport), you might avoid long trips. Instead, by driving later at night, when the bar scene is hopping, you might find people moving between bars or around their own neighborhood, which are typically shorter jaunts. Midday can also work, especially if you connect with people heading to lunch near their workplaces or running errands close to home. Along the way, you also want to keep your expenses as low as possible. The cost of gas and impact of mileage on your vehicle cut into your profits, so you do not want to drive around a lot between rides looking for short ones or drive a long way to get to a place where there are short rides. If you did, you would burn through fuel and increase wear and tear during times you were not making anything, which is not cost-effective. The Uber sign-up guarantee for any city can change frequently. 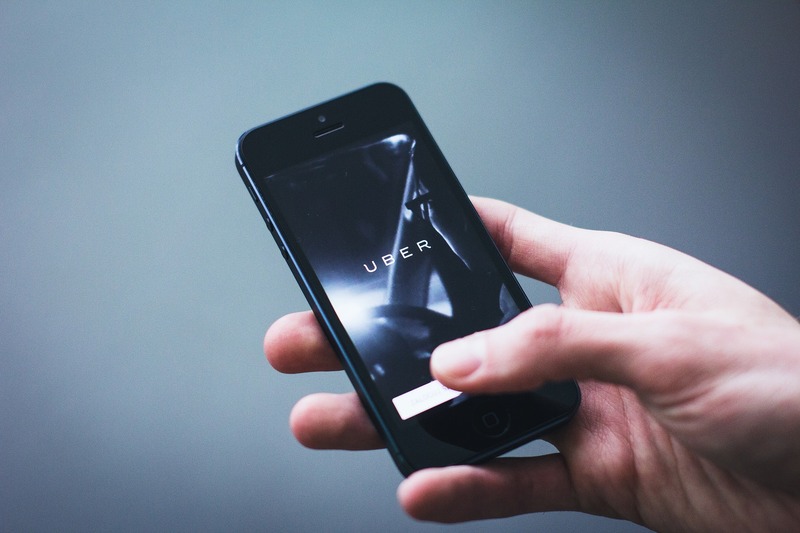 If you want to find out about the current offer, you will need to head over to Uber’s site and see what is available. Luckily, you can check out the guarantee in advance by heading to the guarantee page and inputting your city. You can also review the terms that go along with the guarantee, giving you a chance to plan ahead to make sure you can make the most of the opportunity. If you prefer working for Uber’s food delivery service, Uber Eats and still hope to get a sign on bonus, well you’re in luck. You can use an invite (referral code) from another driver to get signed up and receive a bonus. Just remember, you must complete a certain number of rides in order to receive the bonus. Read the invite information prior to signing up and happy driving! Do you drive for Uber? Did you get a sign-up bonus? Tell us about your experience in the comments below. As I went back to study up on marketing Teespring and Teechip T-shirts to help me reach my goal of making $10,000 in my spare time, I realized that one way to better your chances of success with T-shirts is to have a large and active Facebook fan page on a topic. This will allow you to post different T-shirt designs to it on a regular basis. This makes even more sense if you are going to primarily do your advertising for the T-shirts through Facebook ads. When you put together a Facebook ad, you have to choose a Facebook page to sponsor the ad. This means if you don’t have one which accurately reflects the T-shirt design you want to promote, you have to create a new one. 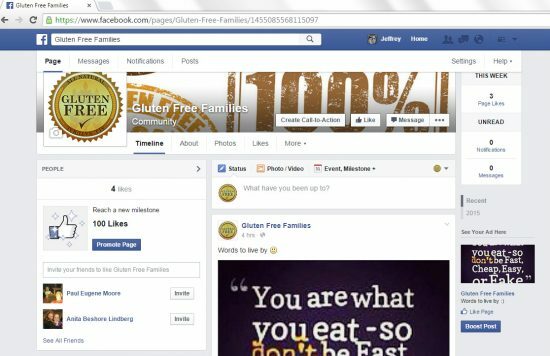 When I created the gluten free T-shirt, I didn’t have a page that fit well, so I created a Gluten Free Families Facebook page. 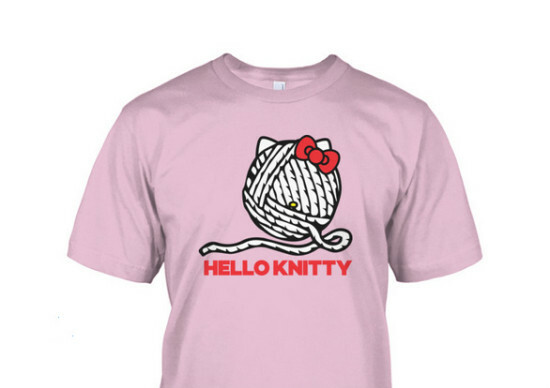 When I made the Hello Knitty T-shirt, I created a Hello Kitty Fanatics Facebook page. 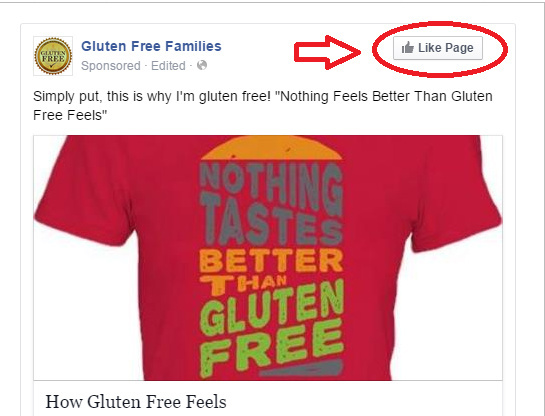 While the gluten free page only received a few likes, the Hello Kitty page received 19 likes. My guess, and what I am hoping to show during this challenge, is that in addition to selling T-shirts, you can also begin to build communities where you can sell other T-shirts down the line. This process will likely take more time than I have for this challenge, but for those who are selling, this is a good to keep in mind. If you find a T-shirt design which sells, there’s a good chance you will have the opportunity to build a thriving Facebook page without spending any money to do it, since the T-shirt sales are covering the costs. On the other side of the coin, even if your T-shirt fails, you still will gain a small benefit for the money you spent by helping to build the fan page. I think this would actually have been the best way to begin with T-shirts. As the Hello Knitty campaign showed, pitching to a community which already has a high interest in the topic makes it a lot easier to sell. If you create the pages about themes you’re already interested in, they should be easy and enjoyable to maintain while creating a community you can sell to down the road. One of the things that I have started doing is filling in the new pages I create with some content so they don’t look like they were just created. An convenient tool to do this with is called Instapost (use access code “teespy” to get it for free). This quickly pulls up a popular image on whatever topic you input so you don’t have to spend a lot of time researching. If you want three or four great images, just hit the “generate post” button a few times. This will make the new fan page look more active to attract even more people to like it. 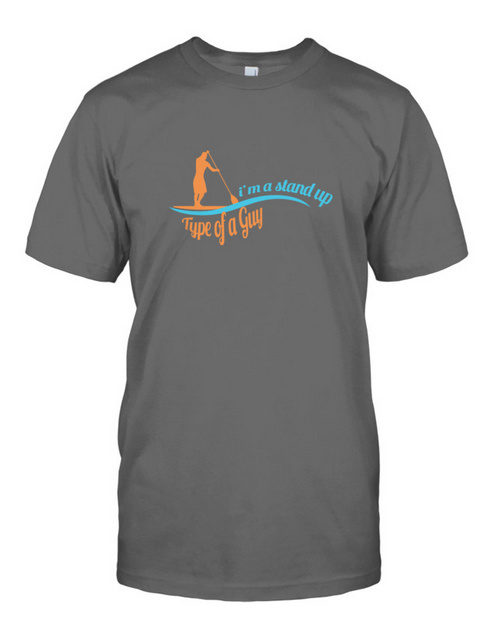 After failing to sell a single T-shirt with my fist two designs (gluten free and paddleboarders) as part of my quest to earn $10,000 in my spare time challenge, I decided to change things up a bit. I have access to a facebook page with about 22,000 likes, and I had an idea I thought might resonate with the target audience. More than anything else, I wanted to know if my ideas were the issue for no sales with the previous T-shirts, or if it was my lack of Facebook marketing skills. I figured making a T-shirt design targeted at this group would give me an answer to that question. I placed the design on Teechip, and it hit the right chord with a few of the fans. There were 8 T-shirts sold in the first two days, and I thought I was onto something. Knowing there were people out there who liked the design enough to purchase it, I set my sites on spending money on Facebook ads to get more sales. Since I never reached my $10 ad buy limit with the first two T-shirts, I decided no matter what I would spend at least $10 on this one. 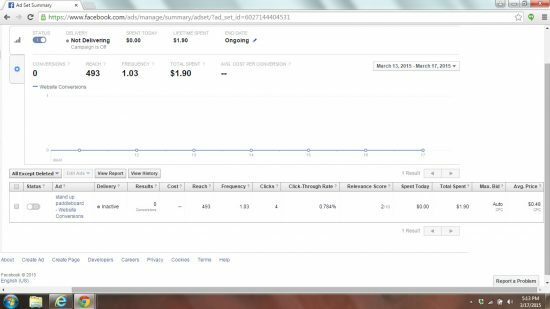 I ended up spending just over $13.00 on ads, but unfortunately, my marketing through Facebook didn’t yield any additional sales. That means after my first three T-shirt campaigns, I’m barely out of the red. While that’s better than being in the red, I will still have to make some major improvements if I am going to end up meeting the $10,000 goal. The click through rate was far too low (under 1%) and the cost per click far too high ($0.48) for me to feel this would be a success. I stopped the campaign after only spending $1.90. I probably should have let it go a bit longer, but those stats were so much lower than the gluten free T-shirt stats, which I also stopped, that I couldn’t justify continuing it. One main failure with this campaign was choosing a topic which I wasn’t extremely knowledgeable about. I’ve been paddleboarding before, but only a few times. I think taking chances on new areas like this makes sense, but it makes sense when I have a better marketing foundation with which to promote it. What I really should have done is spent some time talking to some friends who paddleboard a lot more than I do to get their opinion of what would have made a good T-shirt. Again, this isn’t to say this wouldn’t have worked, I think I simply jumped the gun in picking a topic I wasn’t as familiar with as I should have been. What I did learn from the first two campaigns is I’m paying too much for each click with Facebook ads at the moment. I need to figure out a way to decrease this amount. I would ideally like to get clicks to a maximum of $0.10 a click, and preferably much lower. I think this will be the sweet spot to get 2 or more T-shirt sales for $10. The failure to make any sales on my second attempt puts me further into the negative. In trying to get my first campaign together for the $10,000 in my spare time challenge, I ran across a mention of a newer T-shirt website which is similar to Teespring, but has some advantages for those just beginning to try to make money in this market. I spent some time checking it out, and as a beginner with a limited budget, I think I will be starting my first campaigns on Teechip rather than on Teespring (but you’ll still need to create a Teespring account which I’ll explain in an upcoming article). There are some inherent financial risks for beginners who try to make money with Teespring. One of the biggest is in order for a campaign to go through (Teespring calls it “tipping a campaign”) so the T-shirts are actually sold, you have to meet the T-shirt quantity goal you set. For example, if I set my goal at 50 T-shirts, but only 25 are purchased, the campaign fails to “tip,” and the T-shirts are never made. While I don’t lose any money on the actual cost of the T-shirts, any money I spent on advertising and artwork is lost. The logical reaction to this is to set up quantity goals which require only a few T-shirts to be sold so the campaign “tips” and the T-shirts are produced. While this sounds good, it comes at an earnings price. The fewer T-shirts I initially set as a goal, the less amount I’ll profit on each T-shirt sold. For example, if I were to set a goal of selling 10 T-shirts (3 color design) at $20 each, and I tipped that campaign, I would receive $6 for each shirt sold. If, however, I set a goal of 50 T-shirts, I would receive a profit of $10.85 for each sold if the campaign succeeded. A small initial goal means less profit for me. If I set a 10 T-shirt goal, but actually sold 50 T-shirts, I would earn $300 ($6 profit x 50 T-shirts). If I had set my initial goal at 50 T-shirts, and I sold 50, I would earn $542.50 ($10.85 profit x 50 T-shirts). That’s a $242.50 difference in earnings determined solely on making a good estimate of how many T-shirts will be sold. The problem, of course, is if I set the initial goal at 50 T-shirts, but only sold 25 (or even 49), I would get $0 because the campaign wouldn’t tip, and the T-shirts wouldn’t get produced. In this case, I would lose money due to the artwork I paid for and the advertising I did to try and reach the goal. As you can see above, it’s a sort of strategy game of picking the highest number of T-shirts you think you can sell without going over that number. For those who have a lot of experience, and who have done lot of campaigns, making this estimates is a bit easier. For someone completely new to this as I am, I have no idea, and my ignorance could end up costing me a lot of money as I try to learn better. The solution to this major Teespring issue for beginners has been solved with Teechip. While there are a number of small differences between the two sites, one is Teechip doesn’t require you to meet a goal in order to print the T-shirts. Teespring also doesn’t require you to meet your stated goal, but will only print shirts if enough are sold to be profitable. This is usually three, but can be as many as five depending on the product. 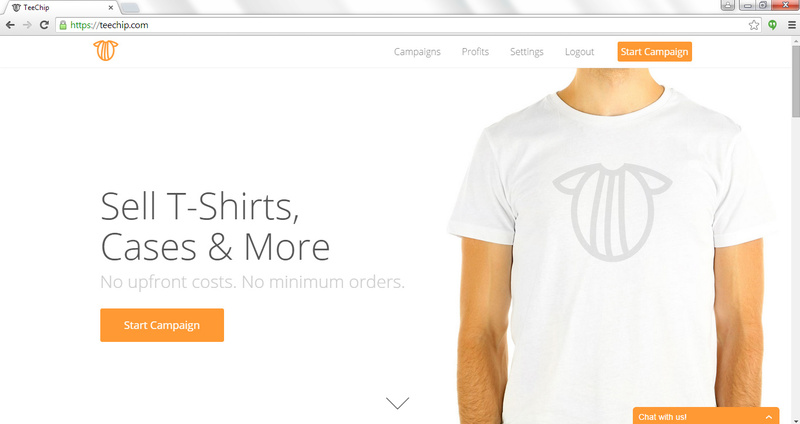 With Teechip, even if only a single person buys a T-shirt, it will be printed, sent and you will earn some money. Both websites also will credit volume discounts if you go beyond the goal number you set. Teespring initally only offered 75% of the volume discount if you underestimated the number of T-shirts you’d sell, but changed that to 100% at the end of last year. The company says this 100% bonus is “likely permanent.” This means with both sites, the more T-shirts you sell, the bigger profit you get from each one sold. What this basically means for a beginner like me is I can reduce my financial risk a bit as I test whether or not I can make money from this. I don’t eliminate the risk completely, but there is less financial risk with Teechip than Teespring for beginners, since it begins paying as soon as the first T-shirt is sold. Another difference is that Teechip pays higher margins per T-shirt than Teespring. This means when selling a T-shirt for the same amount, I will keep more money from Teechip than I will from Teespring. When beginning with a limited budget, getting paid from the first sale and the higher margins can mean I can launch more test T-shirt designs, therefore giving me a better chance to succeed since I have more opportunities to test with the same amount of money. As you can see from the above table, for someone just starting out who may have a large number of campaigns which only sell a few T-shirts, Teechip makes a whole lot more sense from a financial perspective. With them, even if a campaign “fails” and I only get a few T-shirt sales, I will still end up breaking even (or even making a small amount) rather than getting nothing to a little as I would from Teespring. For example, if I have twenty of my planned fifty campaigns sell 3 T-shirts, and I pay $10 for artwork and $15 for advertising, the difference becomes clear. For those twenty campaigns I would have made a modest $40.40 with Teechip on those campaigns. 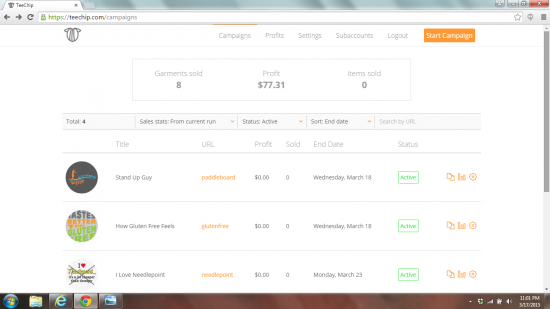 With Teespring, those same twenty campaigns would leave me at -$395.00, and that’s assuming all the campaigns paid $5.25. Also, if I do launch a campaign which does far better than I could anticipate and sells a lot of T-shirts, I get volume margins with Teechip whereas I would be making a much smaller set amount per T-shirt with Teespring. From a financial perspective with a limited budget and while I’m still learning, it makes financial sense to begin with Teechip where I will likely have a large number of campaigns where only 1 to 3 shirts are sold. The major risk with Teechip is it’s a much newer and less established company than Teespring. While Teespring has established itself as company which will be around, there’s a larger risk of Teechip not being able to survive the competition in the long run. Still, this added risk seems to be worth it for the benefit of extending my budget so I can test more campaigns in these early stages so that I can hopefully reach my $10,000 goal in 100 days. Once I feel more comfortable in my understanding of how these campaigns work, I’ll reevaluate which of the two is a better choice. Update: This article has been significantly changed with updated information emailed to me by Teespring which I misunderstood. Like I have said from the beginning, I’m going into this challenge with no head start on how this entire process works, and I’m learning along the way. While this will mean that I stumble through the learning process and make these types of mistakes, I hope it also shows what you would expect to have to go through if you, too, decide to attempt to make money as in this challenge. When I do make mistakes like I originally did in this article, I’ll do my best to correct the information as soon as I realize it’s wrong.